I decided to give Trish a call as she not only had an interest in VBAC (vaginal birth after caesarean), but personal experience. When I first met Trish, I decided not to interview any other doulas (as I had planned to), because she was so supportive, knowledgeable, and has a great sense of humour. 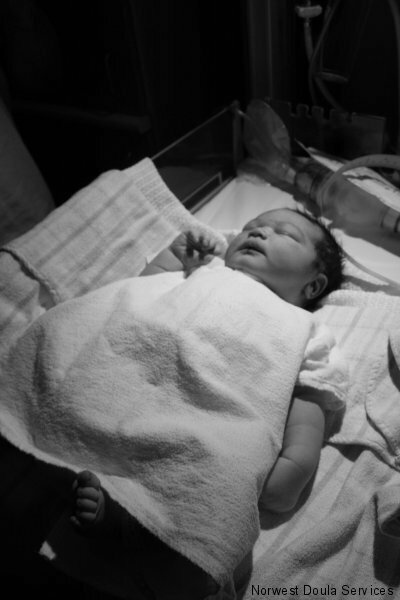 I sought out a doula because I knew they were associated with less need for medical intervention, as I had experienced an emergency c-section with a general anaesthetic, after induction with my first daughter seven years ago. I decided to give Trish a call as she not only had an interest in VBAC (vaginal birth after caesarean), but personal experience. When I first met Trish, I decided not to interview any other doulas (as I had planned to), because she was so supportive, knowledgeable, and has a great sense of humour (always an important quality to me). The resources she provides, both books and DVDs, are invaluable if you want a more positive birth experience. I found the DVD images and the literature helped to ingrain what I wanted even more into my mind. On the day I went into labour, I spoke to Trish a couple of times and she provided her usual information and encouragement. The labour progressed so rapidly, we ended up meeting her at the hospital, not at home as we had originally planned! Everything was so positive, Trish was a great advocate, and I ended up having a VBAC . Despite a haemorrhage after the birth and needing to be observed for a day, my husband and I were both on such a high afterwards. I was able to hold my new daughter and breastfeed immediately, which I had missed out on first time around. Having Trish there allowed us to relax and feel well-informed. We will treasure this day forever, and have great memories of the birth. She also took some fantastic photos. Thank you Trish, for sharing one of life’s great experiences with us. Although I knew my husband would be a fantastic support I also wanted a woman who could relate to childbirth to be there. We found that person in Trisha. When I discovered I was pregnant I knew I wanted another support person at the birth as well as my husband. At the time I didn’t know what a doula was but I knew I wanted someone at the birth who was there to advocate my birth plan and to support and encourage me. Although I knew my husband would be a fantastic support I also wanted a woman who could relate to childbirth to be there. We found that person in Trisha. After interviewing 3 doulas, my husband and I decided on Trisha. Trisha met with us several times before the birth and made sure we had all the information we required. She was always very professional yet friendly and available to contact by phone or email if we had any questions. 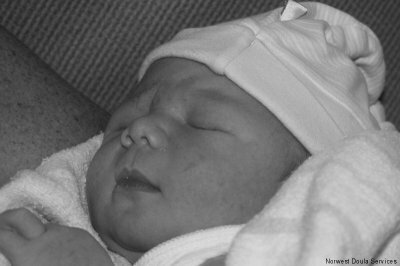 On the day of the birth of our son Kobi, Trisha met us at the hospital when I had begun active labour. She liaised with hospital staff in the background and I was encouraged when Trisha told me that we had a midwife who fully advocated my birth plan. Trisha was calm and encouraging as my labour progressed but the true test came when my second stage became very lengthy. My ideal labour began to go off track, I had to make decisions that were best for me and my baby. Trisha was there to reassure me that I was making the right decisions then to give me the encouragement I needed to see it through. 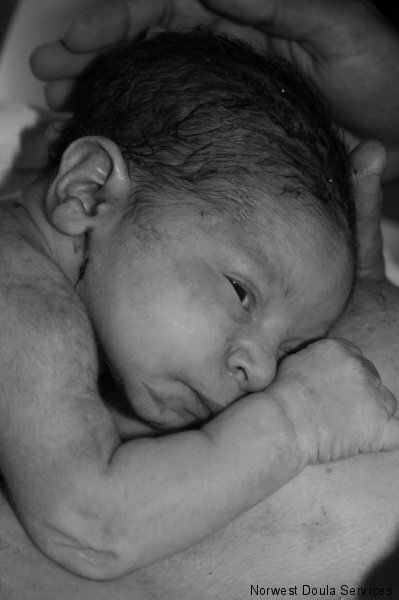 The end result was a gorgeous baby boy that my husband and I could not be any prouder of. Having a doula at the birth was invaluable! 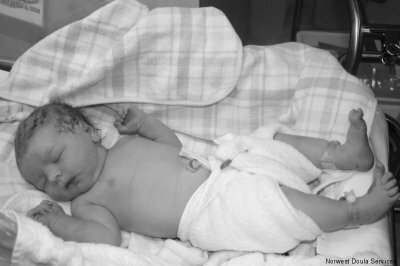 I was able to birth a healthy 5kg boy without pain relief. Things may have turned out very differently if Trisha hadn’t been there. It may have not all gone to plan but it was the best birth possible considering the circumstances. The resource’s Trish provides, I believe, is a must for all expecting mums. The hospital and medical staff only tell you a very small amount of this information, when really there is just so much more available to women that they should all know about. For my husband and I, Trish’s doula services were extremely valuable during my pregnancy and my birth. It meant we had peace of mind throughout the whole process. · Importantly, if things changed in the hospital and weren’t going to plan, Trish was there to discuss all of our options with us so that we could then make an informed decision. For us, this was just what we wanted. With Trish’s help we were able to educate ourselves on the pregnancy and the birth and put together a birth plan that outlined the birth I wanted to have and was looking forward to having. 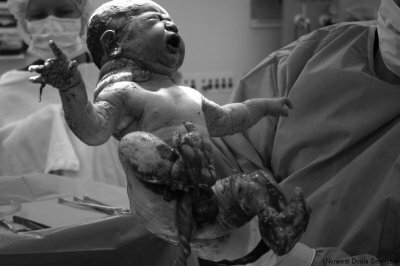 Lastly, another great thing about the birth was, Trish was also there to take photos (during and after the birth), this was great, because we wouldn’t have these if it weren’t for her. We thank you for everything Trish! Trish is kind, loving, professional, compassionate, informative, funny and loyal amongst many more attributes and I couldn’t recommend her Doula Services highly enough. I was privileged enough to have Trish as my doula for the pregnancy and birth of our 2nd child. Throughout the pregnancy Trish was very supportive and very informative. She always had an answer to my questions and was always there to ease any worries I had. With my first child I ended up with an epidural but this time I was determined to have a drug free birth. Trish was aware of this and was a great help in getting me to think positive. She gave me calm birthing CD’s and DVD’s to listen to and watch and always reminded me that I would be able to do it. This helped me keep a positive view on the upcoming birth. My birth was short and I progressed very quickly. Due to this Trish arrived as I started the pushing stage. I found this stage very hard and draining but each time I felt I couldn’t do it anymore Trish would whisper into my ear that I was doing a fantastic job and that I can do it. This gave me extra strength and motivation to keep going. After all there was no turning back. 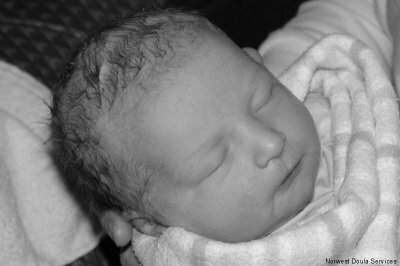 When talking to my husband about the birth experience he told me that he was very relieved when Trish entered the labour room. She took the pressure off from my husband which he said made him feel a lot more relaxed and gave him the opportunity to recharge, therefore enjoying the experience a lot more. He even managed to video the birth. Trish is kind, loving, professional, compassionate, informative, funny and loyal amongst many more attributes and I couldn’t recommend her Doula Services highly enough. I am very grateful to of had Trish as my doula because I believe she was a big part in making me achieve the birth I wanted. 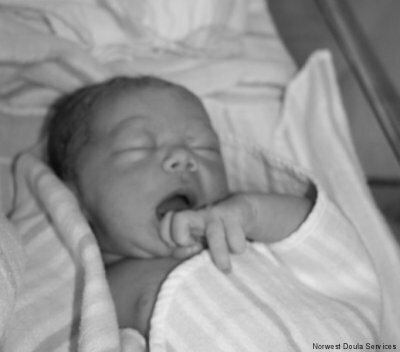 My husband, I must say, was a bit skeptical about using a Doula but he told me after the birth that he was glad Trish was there to support both of us when I had to have an emergency c-section. 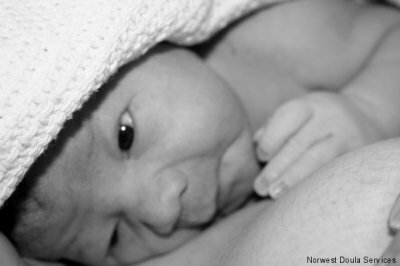 After feeling very unsupported in hospital after the birth of our twins in 2004, I felt that a Doula was a great option for me to feel more ‘empowered’ with this birth. Trish was great – we met & clicked. She was very helpful with lots of reading material & very supportive of our birth choices. We worked out a great birth plan (which included what we wanted if an emergency c/s was needed) & felt confident about trying for a VBAC. 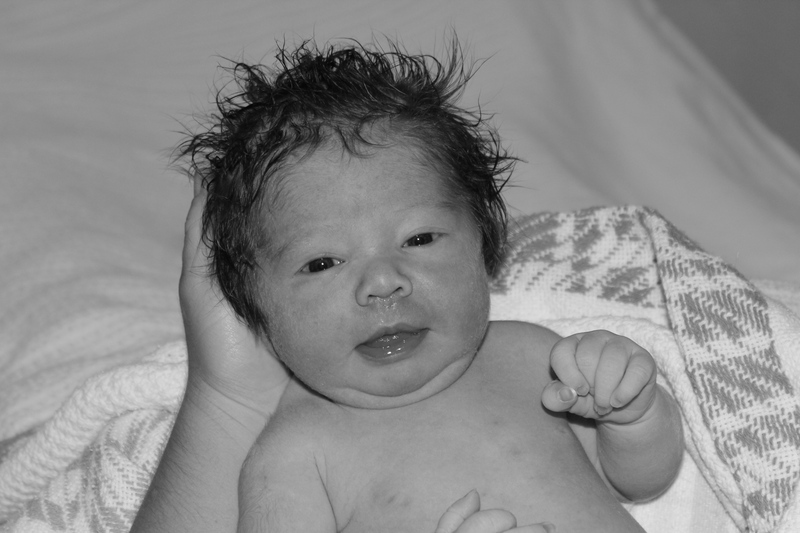 Trish was great – she helped me enormously during the labour before the c-section & was there during the procedure. She took some fabulous photos which allowed my husband to participate more during the birth. Having Trish there also helped in that I had an advocate to speak out about our birth plan (I was a little preoccupied!) & even though I had a c/s we got the delayed cord clamping that we wanted. We would totally recommend Trish – she is very open to what you need and fully supports the birth you want. She put up with me & my 4 nights of pre-labour before the main event & for that she deserves a medal! Our son James was posterior (facing the wrong way) during the pre labour and birth. Ruth and I had been awake for three days straight during that time. I was so tired. Trish was very reassuring and positive keeping Ruth upbeat through her painful experience. When my wife Ruth first told me that she wanted a Doula I thought the idea was a bit over the top. I said to her that it seems like a big waste of money and I was a bit unsure about it all as we had plenty of books on pregnancy. But our Doula Trish Cook turned out to be very helpful and supportive with her vast knowledge and experience. She made us feel comfortable. It appeared to me that Trish was really passionate about being a Doula; the way she acted showed that she loved what she was doing. I felt a trust in her. Trish was there to support us as soon as we needed her (during those long tiring nights and days). She is a person that gives more! If you’re pregnant and considering a Doula I highly recommend that you get Trish Cook, her service is invaluable; she is professional, committed, passionate about her role, and she is also funny and friendly. The moments and emotion that Trish captured with her camera were also really great, something we can keep forever. Along with the consultations during the pregnancy and attending the birth Trish also provided follow up advice with the episiotomy and massage during the birth. After the experience of the birth and the support Trish provided, I am now very grateful and happy that my wife suggested getting a Doula. 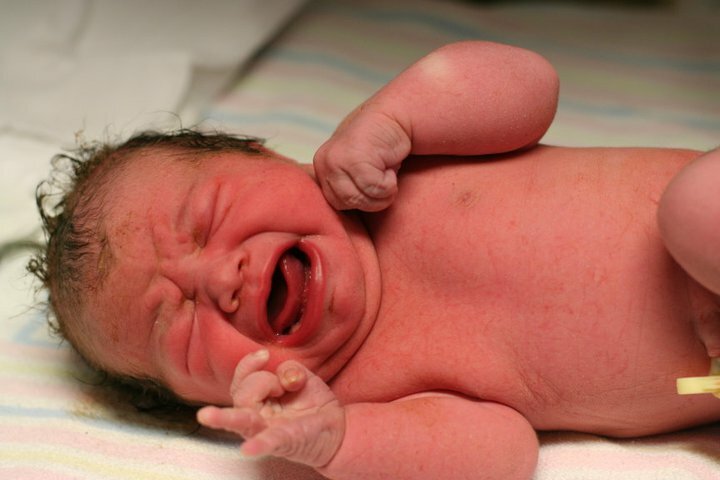 I had a fairly long and traumatic induced birth with my first child. With this pregnancy, I decided that I wanted to have more support and definitely a different, more positive birth experience. A doula fit that job description for us. 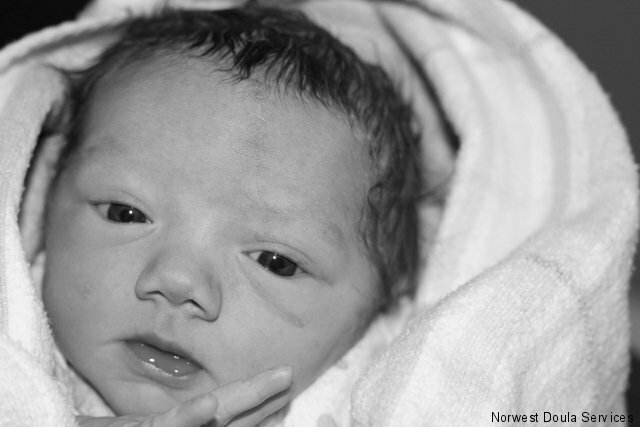 I had a fairly long and traumatic induced birth with my first child. With this pregnancy, I decided that I wanted to have more support and definitely a different, more positive birth experience. A doula fit that job description for us. Trish and I met late in my pregnancy, and we got along well straight away. Trisha could not have done a better job in giving me and my husband the support, information and knowledge we needed to bring our little man into the world the way we wanted. After a fairly long pre-labour, with many words of encouragement and support from Trish, I went into labour and did it all naturally, just as I had wanted. Of course with the wonderful support and encouragement of Trish, and my hubby, it all went exactly as I had planned and our little man was born in no time! My second birth was exactly what I wanted and it was all with Trish by my side. My heartfelt thanks go out to her. Trish made my time in the labour ward for the second time a much more enjoyable experience. Trish looked after my wants and needs, which enabled me to really enjoy the whole birth experience. Trish was someone to talk to when my wife chose not to during labour. Her support and knowledge was by far beneficial and I would insist on all guys to support their partners in choosing Trish as their Doula. I was really amazed at how much Trish knew, she supported Simone throughout her labour and she knew all the right things to do at all the right moments. Many thanks to Trisha Cook at Norwest Doula Services; she did a fantastic job in carrying out my birthing plan to ensure I had the birth I had wished for.